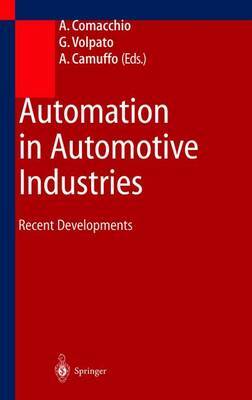 G. Volpato, A. Camuffo, A. Comacchio 1.1 The background During recent years the dynamics of automotive industry and its supply chain has catalysed the attention and the research effort of a wide international group of scholars as: the International Motor Vehicle Program (JMVP) of Massachusetts Institute of Technology, the Permanent Study Group for the Automobile Industry and Its Employees (GERPISA) of Paris, and the International Car Distribution l Programme (ICDP) of Solihull. This favoured the publication of relevant studies and the growth of networks of academicians and practitioners interested in studying the patterns of industry evolution and in organising meetings to present and discuss issues of common interest. In 1992 some members of these research projects decided to organize a first conference in Berlin dedicated to the main theme of automation and organization in the automobile industry. In 1993 a second conference took place in Tokyo, followed by a technical visit to a few automobile manufacturers and components suppliers plants (Toyota, Nissan, Mitsubishi, etc. ).